Since the summer of 2017, Cardi B has become one of the biggest names in the music industry (and one of the most controversial). Beyond being famous for her music and social media presence, Cardi is known for her tongue-rolling phrase “Okurrr,” a sassy and elongated way of saying “okay.” However, Cardi B arguably did not create the word. Cardi tweeted that the Kardashian sisters got her hooked on saying it. Likely, the Kardashians picked it up from contestants on RuPaul’s Drag Race, who credit the term to Laura Bell Bundy. Yet, the term has become associated with Cardi B, even becoming the basis of a Pepsi advertisement she starred in during the Super Bowl. 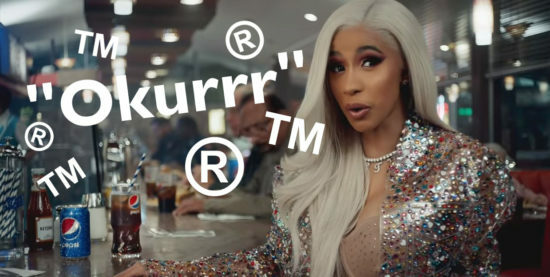 Cardi B (through her company Washpoppin) has filed an application to the United States Patent and Trademark Office (“USPTO”) to trademark “okurrr” for use on paper goods, namely paper cups and posters. She also filed a second application for the same term to be used on clothing, including t-shirts and caps. Prior to the above applications, Washpoppin filed a similar application for another variant of the phrase, spelled “okurr” (two r’s instead of three). Cardi B is not the first celebrity to try to take ownership of popular phrases. Paris Hilton famously trademarked the catchphrase “that’s hot” (for use on alcohol and clothing) in 2006; Anthony Davis has trademarked the two phrases “fear the brow” and “raise the brow” (for use on a number of products including aftershave and entertainment services); and Will.I.Am attempted to trademark the phrase “willpower” (although that application was rejected by the Trademark Trial and Appeal Board). This particular trademark application by Cardi B has been met with criticism and confusion due to concerns that the term will be taken out of the public domain and inhibit people from being able to say the phrase. Misunderstanding about the trademark process perpetuates this confusion. So what is a trademark? If Cardi B is successful, will we never be able to say “okurrr” again? A trademark is one of many types of intellectual property protected under United States law (both at the federal and state level). A trademark serves a number of functions, including identifying a single source of origin for goods and services, distinguishing the owner’s goods and services from those of others, and providing the owner of the mark with the right to prevent others from adopting similar marks likely to cause confusion in the marketplace. Trademarks are usually for specific commercial uses and spellings. In this case, Cardi B is only looking to use the specific spelling of “okurr/r” on merchandise. There can be trademarks for words, names, symbols, and devices, as well as for trade dress, colors, sounds, and scents. To successfully acquire federal trademark protection, the mark must be distinctive, be of acceptable subject matter, and be used in commerce. 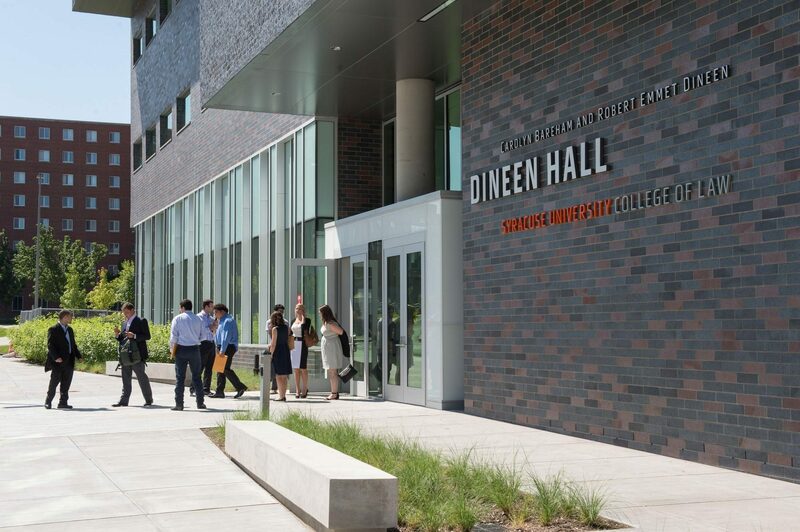 The first requirement, distinctiveness, can be achieved in two primary ways. A mark is distinctive if it is inherently distinctive, which means that it is immediately capable of identifying a source of origin for a good or service. Or, a mark can have acquired distinctiveness, which means that it is not inherently distinctive, but has gained secondary meaning over time from use and promotion in the market. Second, a mark is of acceptable subject matter if it is defined in Section 45 of the Lanham Act, which includes words, names, symbols, images, sounds, etc. Lastly, a mark must have been used in interstate commerce in connection with the good or service. Will Cardi B be Successful? It is ultimately up to the USPTO whether Cardi B will be successful in her trademark application. She is covering her bases by submitting multiple spellings, but she still might have difficulty. The spoken word in which the written phrase is representing has no standard form, which can cause difficulties. Also, Cardi B is not the originator of the phrase, which could hinder her application. However, her lawyers could claim she has achieved “acquired distinctiveness” because people have come to commonly associate her with the expression. But, Cardi B may be facing other challenges to her application, including a potential registration challenge from a drag queen named Alaska. No matter what happens with Cardi B’s trademark application, no one needs to worry about a crackdown on using the fun phrase. Cardi B is only seeking protection for certain merchandise, and this is not the first time a celebrity has trademarked famous words or sayings. Aleksi Tzatzev, 10 Celebrity Trademarks We Can’t Believe Exist, Business Insider. Ben Zimmer, Cardi B Didn’t Invent “Okurrr,” but That Might Not Matter to a Trademark Judge, The Atlantic. Hugh McIntyre, Cardi B Wants to Trademark The Phrase ‘Okurrr,’ Forbes. Practical Law Intellectual Property & Technology, Trademark: Overview (2019). Withrop & Weinstine, P.A., Cardi B, You (Probably) Can’t Trademark “Okurrr,” Okay?, JDSUPRA. Photo courtesy of JD Supra.